NYC Immigration Lawyers, Naturalization, Green Cards, Deportation Defense, Brooklyn, New York - How Do I Remove The Conditions On Permanent Residence Based On Marriage? » How Do I Remove The Conditions On Permanent Residence Based On Marriage? · You and your spouse must apply together to remove the conditions on your residence. You should apply during the 90 days before your second anniversary as a conditional resident. The expiration date on your alien registration card (commonly know as green card) is also the date of your second anniversary as a conditional resident. If you do not apply to remove the conditions in time, you could lose your conditional resident status and be removed from the country. · If you are no longer married to your spouse, or if you have been battered or abused by your spouse, you can apply to waive the joint filing requirement. In such cases, you may apply to remove the conditions on your permanent residence any time after you become a conditional resident, but before you are removed from the country. · If your child received conditional resident status within 90 days of when you did, then your child may be included in your application to remove the conditions on permanent residence. Your child must file a separate application if your child received conditional resident status more than 90 days after you did. The Immigration and Nationality Act governs immigration in the United States. For the part of the law concerning conditional resident status based on marriage, please see INA § 216. The specific eligibility requirements and procedures for removing conditions on permanent resident status are included in the Code of Federal Regulations [CFR] at 8 CFR § 216. · You are still married to the same U.S. citizen or lawful permanent resident after two years (your children may be included in your application if they got their conditional resident status at the same time that you did or within 90 days). · You are a child and cannot be included in the application of your parents for a valid reason. · You are a widow or widower of a marriage that was entered into in good faith. · You entered into a marriage in good faith, but the marriage was ended through divorce or annulment. · You entered into a marriage in good faith, but either you or your child were battered or subjected to extreme hardship by your U.S. citizen or lawful permanent resident spouse. · The termination of your conditional resident status would cause extreme hardship to you. Please see USCIS Form I-751 (Petition to Remove the Conditions on Residence) for more specific eligibility requirements. To find out how you can apply to remove your conditions of residence, please see Application Procedures, which help identify what you need to do. The USCIS will extend your conditional resident status while USCIS staff reviews your application. If you fail to properly file the Form I-751 (Petition to Remove the Conditions on Residence) within the 90-day period before your second anniversary as a conditional resident, your conditional resident status will automatically be terminated and the USCIS will order removal proceedings against you. You will receive a notice from the USCIS telling you that you have failed to remove the conditions, and you will also receive a Notice to Appear at a hearing. At the hearing you may review and rebut the evidence against you. You are responsible for proving that you complied with the requirements (the USCIS is not responsible for proving that you did not comply with the requirements). The Form I-751 can be filed after the 90-day period if you can prove in writing to the director of the Service Center that there was good cause for failing to file the petition on time. The director has the discretion to approve the petition and restore your permanent resident status. · You entered into your marriage in good faith, and not to evade immigration laws, but the marriage ended by annulment or divorce, and you were not at fault in failing to file a timely petition. · You entered into your marriage in good faith, and not to evade immigration laws, but during the marriage you were battered by, or subjected to extreme cruelty committed by your U.S. citizen of legal permanent resident spouse, and you were not at fault in failing to file a joint petition. Please see USCIS Form I-751 (Petition to Remove the Conditions on Residence) for more specific information on waivers. Please see Immigration Policy and Procedural Memoranda, memo dated April 10, 2003 for more specific information. How Can I Check the Status of My Petition? To check the status of your petition, please contact the USCIS office that received your petition. You should be prepared to provide the USCIS staff with specific information about your petition. Please click here for complete instructions on checking the status of your petition. Please click here for more information on USCIS field offices. If your application to remove the conditions on your permanent residence is denied, you will receive a letter that will tell you why the application was denied. The process to remove you from the country will begin as soon as your application is denied. 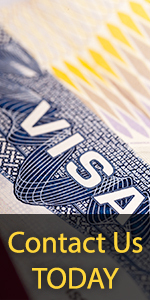 You will be allowed to have an immigration judge review the denial of your application during removal proceedings. During this review, the USCIS must prove that the facts on your application were untruthful and that your application was properly denied. If the immigration judge decides to remove you from the country, you may appeal this decision. Generally, you may appeal within 33 days after the immigration judge decides to remove you from the country. After your appeal form and a required fee are processed, the appeal will be referred to the Board of Immigration Appeals in Washington, D.C. For more information, please see, How Do I Appeal?.